Omnitron provides a tiered product offering of iConverter Network Interface Devices (NIDs) which align features and costs with the different types of Ethernet services. Service Providers can deploy iConverter NIDs that match the appropriate service tier to save equipment costs and deliver profitable services. Converter NIDs provide MEF Carrier Ethernet 2.0 Certified Compliant demarcation for wholesale Ethernet, 4G/LTE mobile backhaul, small cells, business services and cloud services. These state-of-the-art NIDs enable new CE 2.0 services and reduce operating costs with automated service provisioning and testing. The iConverter® XM5 is a 10G Network Interface Device (NID) that provides service demarcation and aggregation for Carrier Ethernet 2.0 services. 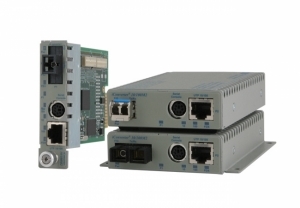 The XM5 provides comprehensive support of the latest carrier-class Ethernet Service OAM, testing and protection standards. These advanced capabilities enable rapid service deployments, Service Level Agreement (SLA) assurances, comprehensive fault management and service protection to reduce operating costs and improve customer satisfaction. The iConverter® XM5 Aggregation Demarcation Device provides aggregation and demarcation for Carrier Ethernet 2.0 services. The XM5 Aggregation Demarcation Device supports the latest carrier-class Ethernet Service OAM, testing and protection standards. These advanced capabilities enable rapid service deployments, Service Level Agreement (SLA) assurances, comprehensive fault management and service protection to reduce operating costs and improve customer satisfaction. 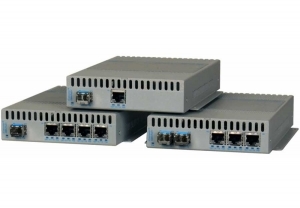 The iConverter® GM4 PoE Network Interface Devices (NID) deliver advanced Carrier Ethernet 2.0 services and provide integrated Power over Ethernet (PoE) at the demarcation. GM4 PoE NIDs function as PoE Power Sourcing Equipment in small cell (metro cell) and Wi-Fi applications, where the radio equipment can be powered through the Ethernet UTP cables. The iConverter GM3 is a flexible and cost-effective Network Interface Device (NID) with Service Operations, Administration and Maintenance (OAM), and Link OAM capabilities. The GM3 provides Carrier Ethernet service demarcation with rapid service activation, SLA assurance and fault management. The iConverter SFP NID is a Small Form Pluggable (SFP) Gigabit optical Network Interface Device (NID). It enables Service Providers to deliver low-latency, SLA-guaranteed Business Ethernet, 4G/LTE macro cell and metro/small cell backhaul services. 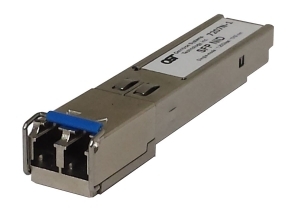 The SFP NID can be installed directly into a switch, router or small cell, and saves Capital Expenditures (CAPEX) by eliminating the need for a standalone demarcation device. It also reduces Operating Expenditures by decreasing power consumption, space, installation and maintenance costs (OPEX). 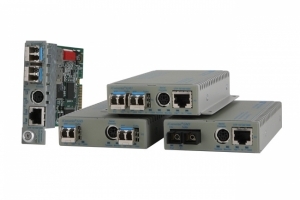 The iConverter microNID is a low-latency, compact and cost-effective Network Interface Device (NID) that provides service activation testing, fault and performance monitoring. The two-port microNID enables the delivery of service-assured Business Ethernet, 4G/LTE macro cell and metro/small cell backhaul services.The microNID enables Service Providers to deliver premium services with Service Level Agreements where cost, space and power consumption are constraints. Cable MSOs can deliver value-added commercial Ethernet services and wireless backhaul over their existing DOCSIS networks with guaranteed Quality of Service. 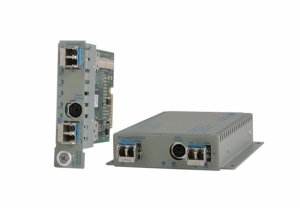 The iConverter GX/TM2 is a carrier-grade Network Interface Device (NID) that provides 10/100/1000 copper to Gigabit Ethernet fibre media conversion with integrated management. For Service Providers, the GX/TM2 NID provides MEF 9, 14 and 21 certified demarcation of Carrier Ethernet E-Line services. The GX/TM2 is a cost-effective demarcation device for Service Providers to deliver best-effort Ethernet services. 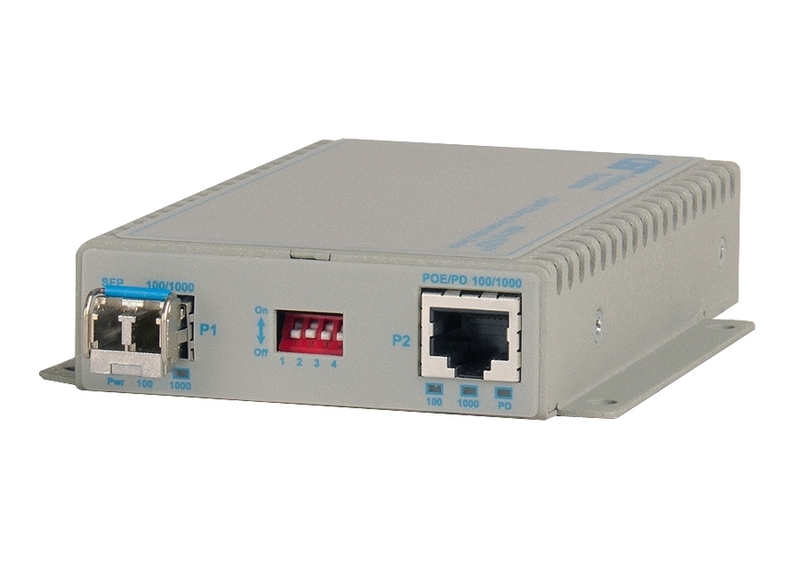 The iConverter 10/100M2 is a carrier-grade Network Interface Device (NID) that provides 10/100 copper to Fast Ethernet fibre media conversion with integrated management. For Service Providers, the 10/100M2 NID provides MEF 9, 14 and 21 certified demarcation of Carrier Ethernet E-Line services. The 10/100M2 is a cost-effective demarcation device for Service Providers to deliver best-effort Ethernet services. For Enterprise and Government and Utility networks, the 10/100M2 enables secure demarcation and management for mission-critical applications delivered over fibre infrastructure. 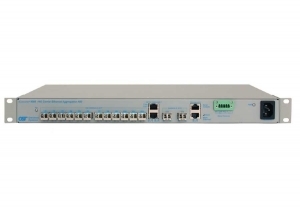 The iConverter 2GXM2 is a carrier-grade Network Interface Device (NID) that provides Gigabit Ethernet fibre to fibre media conversion with integrated management. For Service Providers, the 2GXM2 NID provides MEF 9, 14 and 21 certified demarcation of Carrier Ethernet E-Line services. The 2GXM2 is a cost-effective demarcation device for Service Providers to deliver best-effort Ethernet services. For Enterprise and Government and Utility networks, the 2GXM2 enables secure demarcation and management for mission-critical applications delivered over fibre infrastructure. The iConverter 2FXM2 is a carrier-grade Network Interface Device (NID) that provides Fast Ethernet fibre to fibre media conversion with integrated management. For Service Providers, the 2FXM2 NID provides MEF 9, 14 and 21 certified demarcation of Carrier Ethernet E-Line services. The 2FXM2 is a cost-effective demarcation device for Service Providers to deliver best-effort Ethernet services. For Enterprise and Government and Utility networks, the 2FXM2 enables secure demarcation and management for mission-critical applications delivered over fibre infrastructure.